Jordan Brand’s next 32 Low design represents the mineral jade and its connection to China. Primarily adorned in white, it boasts speckled detailing on its rear overlay and a black midsole unit that breaks up the whiteness of the upper and the color of the outsole. Jade comes into play on that aforementioned outsole as well as on the tongue’s Wings logo, the heel, the inner lining, and some stitching on the upper. 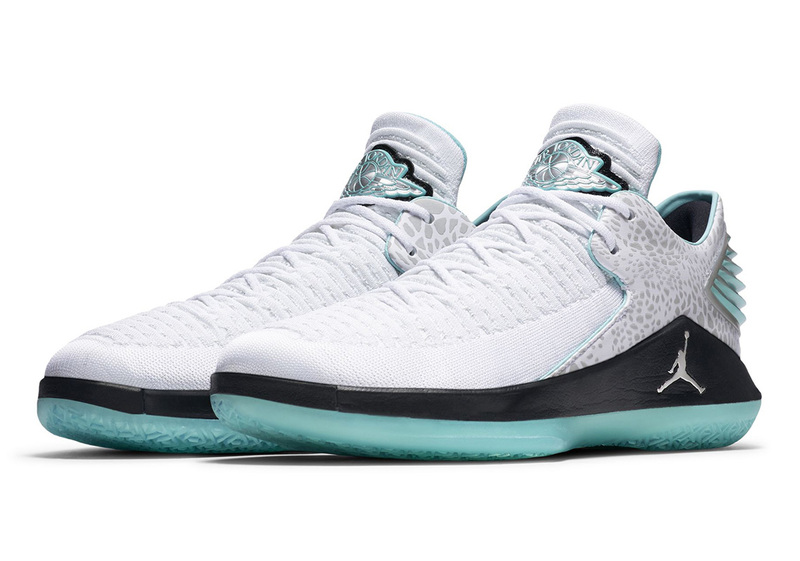 Chinese characters are featured on the underside of the tongue of this Air Jordan 32 Low “Jade”, but it is unclear what they say at the moment. Pairs will become available next month in both men’s and boy’s sizing, giving almost everyone a chance at owning a pair. Stay tuned for any updates regarding this next Jumpman selection, and a specific release date when it becomes available.